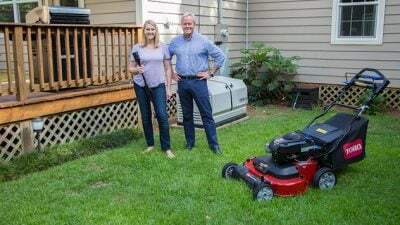 Chelsea Lipford Wolf and Danny Lipford prep for summer with the Toro TimeMaster lawn mower, NuTone Haven mosquito-repelling fixtures, and Champion Power Equipment home standby generator. Get your backyard ready for summer cookouts, unpredictable weather, and pesky mosquitoes. Watch the video and check out Simple Steps to Summer Prep for tips to prepare your home and yard for the season.